Experience the Seders in a warm, inviting atmosphere, complete with catered Passover meals, Shmurah Matzah and the four cups of wine. 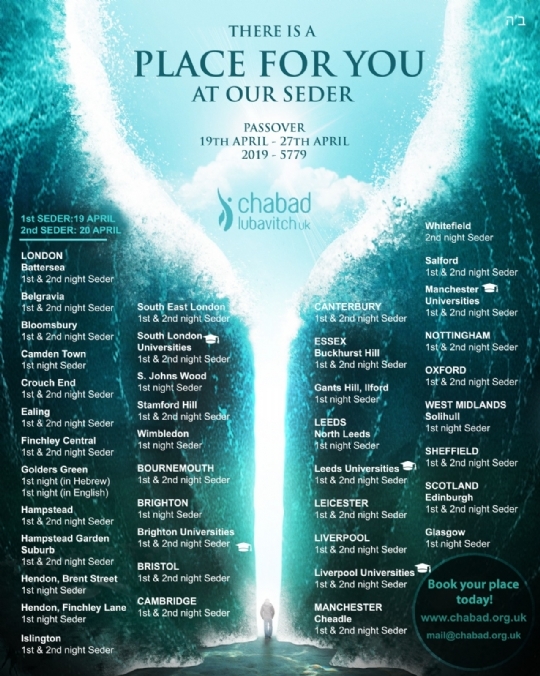 - Also check your local Chabad House, it may not be listed yet. City Events -Find Out More!